Melissa (Brown) Rooker grew up in Fairway, Kansas, attending Roseland Elementary School, Indian Hills Middle School and Shawnee Mission East High School. She earned a B.F.A. degree from the University of Kansas. In 1986, after graduating from KU, Melissa married her fellow KU classmate, Tom Rooker of Leawood, Kansas and moved to Los Angeles where they spent 15 years working together at Clint Eastwood’s Malpaso Productions, based at the Warner Bros. Studios. Serving as Assistant to Mr. Eastwood, Melissa’s responsibilities included reading and analyzing potential film projects for the company. She was promoted to Malpaso’s Director of Development in 1995, working with screenwriters, producers and the outside agencies where their films were shot to guide the rewrite process. 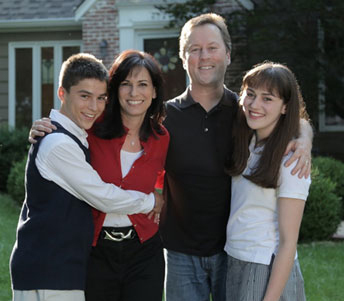 Melissa retired in 2001 to focus on raising the couple’s two children, Lindsay and Jack. A desire for the quality of life she enjoyed in her own childhood – outstanding public schools, a shared sense of community, and proximity to extended family – drew her back to Kansas in 2004. They settled in the neighborhood where she grew up. Her two children attended the Shawnee Mission schools, and both graduated from Shawnee Mission East High School. This year both kids will be attending the University of Kansas, where Lindsay will be a senior and Jack will be a freshman. During the past nine years, Melissa has been actively involved in the community as a volunteer, serving many different roles in PTA including a stint as the president of the Indian Hills PTA, president of the Bryantwood Homes Association, and secretary of the KC Strikers Soccer Club.